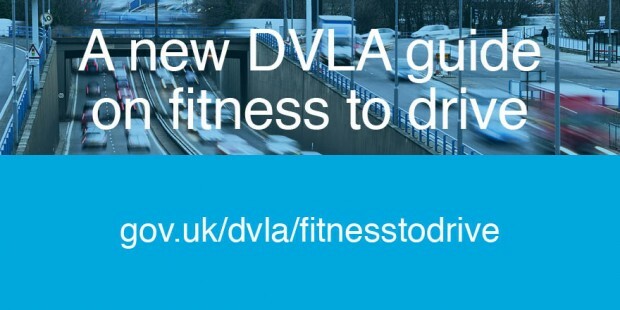 Last month, DVLA launched updated guidance entitled ‘Assessing Fitness to Drive: a Guide for Medical Professionals’ to help medical professionals assess their patients’ fitness to drive. It replaces the previous ‘At a Glance’ guide, and helps medical professionals to make informed decisions when talking to their patients about medical conditions affecting their ability to drive. When we asked a number of medical professionals for their opinion towards the end of last year, it was clear that for it to work for them in today’s environment, the guidance needed an overhaul. We’ve made it clearer and easier for medical professionals to use. We commissioned research with a range of practitioners including GPs, nurses and consultants to ensure the guidance gives clear and consistent information. It includes new and updated advice on a number of medical conditions. And it makes it clearer about whether or not practitioners need to contact DVLA. Users can still download it, or view it on GOV.UK – whatever they prefer. Since it was published on 11 March 2016, the guide has been accessed more than 50,000 times and downloaded over 20,000 times. On average, that’s over 2,000 views a day. For comparison, the ‘At a Glance’ guide was averaging just over 400 views a day in the months before we published the new guidance. This is great news; it means medical professionals are able to find the information they need as quickly and easily as possible. This tells us that the work we’ve done to produce and publicise the new guidance seems to be paying off. More medical professionals are using it, which is exactly what we wanted. If you’re a medical professional you can keep up to date with any future changes to the guidance, including changes to medical standards, by signing up for our email alert service. Simply go to the option named ‘DVLA Stakeholders’ and select ‘Medical Professionals’.